The objectives of ITIS were to create a traffic information collection system in a systematic and advanced manner so that it could be beneficial for planning and management of traffic flow as well as to improve efficiency of incident management. 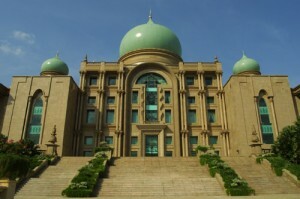 The ITIS Project was implemented by a consortium company with a cost of RM365.74 million for a period of 32 months (1 August 2002 until 31 March 2005) and another company was appointed as the Project Consultant with a fee totalling RM7.31 million and reimbursement cost of RM0.68 million. [box icon=”exclamation”]Quite upsetting to see 50% of equipment being unusable, for a total loss of more than RM60 million, plus the fact that more than 50% of the computer hardware at the ITIS workstation were damaged. It seems ITIS is literally running at half-capacity, and for a project that cost taxpayers more than Rm365.74 million, that’s a shame. a. The Hospital Information System (HIS) was implemented at 13 hospitals in March 2002 (Phase 1) under the design and build (turnkey) concept with a total cost of RM588.11 million. The implementation of Phase 2 involved only the maintenance of system for 12 hospitals with a contract value of RM334.02 million. Audit findings revealed that generally, the overall HIS maintenance services were not satisfactory. v. maintenance cost exceeded the purchase cost of hardware up to 72.5 times!! The best however, was saved for last– maintenance cost that exceeded the purchase of hardware by 72.5 times!! That’s RIDICULOUS. That’s like me buying my Galaxy S3 for Rm999, and paying Rm75,000 for ‘maintenance’. Sounds silly, but according to the AG report, that’s exactly what the Ministry of Health did. The exact component was reported by Malaysiakini to be a Epson LQ300 Dot Matrix printer that cost RM738 to buy, but Rm53,535 to support over a 5 year period.WTF!! Why are we failing in IT? Going through this I was thinking to myself, why doesn’t the government consolidate it’s IT spend into one organization, rather than have each individual ministry trying to run it’s own IT operations and worst–it’s own IT projects. These are just synopsis, and it’s quite unfair because only the bad stuff appears here, even so the nearly RM1 Billion of bad IT spend is quite worrying and this money could have been more wisely spent by a more competent IT division that works within the government but across all ministries. For instance the guys running the show for the Hospital Information System, ITIS and the Solar Hybrid System project are run by ministries that have nothing to do with IT or technology in general. The Ministry of Health is in charge of the Hospital Information System, a 500+ million dollar project, and the results were ‘unsatisfactory’ in the AG’s own words. I’m also disappointed that the full AGs findings are not published on-line for everyone to see. To me, every Request For Information, Request For Proposal, Tender and Signed Contract should be in the public sphere and posted on-line for taxpayers to see. We may not be interested, but for the sake of transparency this information needs to be revealed so that someone somewhere can analyse the data without bias and publish them for public consumption, similar to what the UK citizens did when analysing the expense claims of their Members of Parliament. 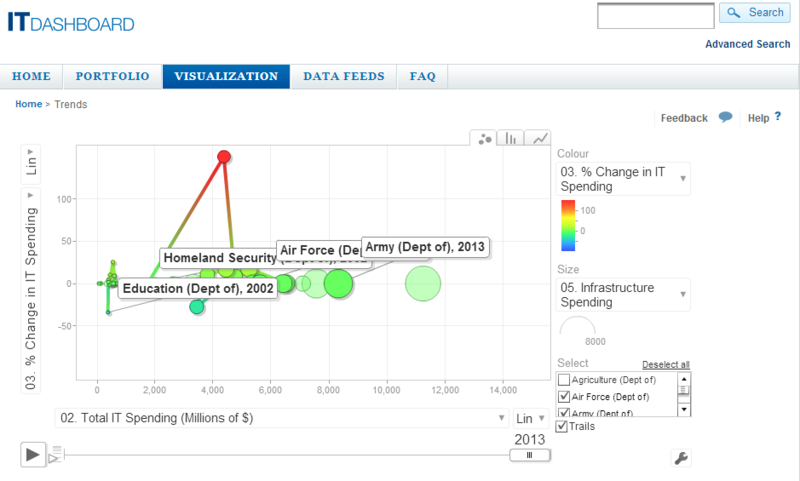 …shine light onto the performance and spending of IT investments across the Federal Government. If a project is over budget or behind schedule, you can see by how much money and time, and you can see the person responsible–not just contact information but also their picture. The IT Dashboard gives the public access to the same tools and analysis that the government uses to oversee the performance of the Federal IT investments. The transparency and analysis features of the IT Dashboard make it harder for underperforming projects to go unnoticed, and easier for the government to focus action on the projects where it’s needed most. Since Malaysia has a long history of underperforming Government projects, I propose we do the same for our IT projects, and publish the full findings to the public sphere. If anything, I’m quite sure the opposition bloggers and politicians could do something useful with their time and act as auditors for these underperforming projects–pointing out where bad contracts were signed. Since these bloggers work outside the government payroll–it’s like getting a free analysis of your IT spend–what does the government have to lose–except dignity and cronies. It’s also interesting to note that even US Department of Defence IT spend is listed on the IT dashboard, and isn’t hid behind the veil of secrecy for ‘national protection’. The Department of Defence has a long history of working towards smarter IT spend including creating frameworks like DODAF. Their overall IT status looks overwhelmingly Green, with over 83% of projects tracking green for cost and budget, all for the better since just this one Department alone spends more than USD30 Billion on IT. I must also point out that the dashboard for the IT spend is graphical and actually tries to create meaning from the data, unlike the AG’s report which looks like it was created in the 1980’s on WordStar. I wonder when Malaysians can expect the same kind of transparency from our government?? Although it’s the end of a very long post, I still feel it necessary to remind you of the AG’s report in 2006, which briefly touched on my favourite Malaysian IT Failure–the RM290.12 Million dollar Custom Information System, that was developed in DOS!! Not only was the project delayed multiple times for a period of 12-52 months, the budget was revised by an additional Rm30 million from it’s initial estimate. The ICT officers from the government were not kept in the loop and the government relied on the vendor to continue support of the system. The biggest ‘surprise’ was that in 2006, they decided to replace the Custom Information System. Thus , the Customs Department appointed Deloitte Consulting Malaysia Private limited as consultant to development ICT Strategic Plan with a estimated cost of RM451.3 million for the period 2007 until 2011. In the 2011 report, I found no mention of the replacement system. Hahaha….sometimes I wonder why I work so hard, when I can help the government develop a DOS system for RM290 million!! I quite agree with your suggestion to publish the findings and documentation of IT projects in the public shere, and use crowdsourcing to evaluate them! Unless….there is something to hide…. I am seeing some countries adopting the white paper policy whereby before they agree on implementing something big, they will first publish a white paper on the subject and invite the public to comment. I feel this way – we can ensure tax payers money are chanelled to the right places.